Mary Lou “Nan” Sides, 82, of Lancaster, passed away Tuesday, January 30, 2018 at Hospice & Community Care in Mount Joy. Mary Lou was employed as a time clerk at Armstrong Industries for 39 years. She had been a secretary of Lancaster Presidents Midget Football for 25 years. 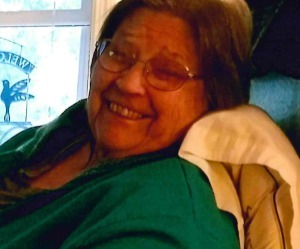 She enjoyed word puzzles, knitting, crocheting, bird watching, and most of all, spending time with her grandchildren. She loved nature and in her younger years was an accomplished bowler. She was preceded in death by her parents, Cyrus and Mae Frey Mann, her husband Edgar E., Sr., and her stepson, Barry Sides. Surviving are her son, Kevin E. Sides and his partner Holly Gattone of Hershey, PA, her daughter, Tina M. Sides Hicks of Lancaster, her stepson, Edgar J. Sides, Jr. (Diane) of Elizabethtown, 9 grandchildren, 8 greatgrandchildren, her brothers Richard Frey of Millersville, and Kenneth C. Mann of Orange, CA. Friends and relatives are invited to a visitation Monday, February 5, 2018 at DeBord Snyder Funeral Home, 141 E. Orange Street, Lancaster, PA 17602 from 10:00 AM until 11:30 AM. A Remembrance Service will begin at 11:30 AM. Burial will follow at Conestoga Memorial Park. Memorial Contributions in her memory may be may be made to Hospice & Community Care or to the American Diabetes Association. So sorry for your loss! I can’t imagine the pain and sorrow that you are feeling now. Just know that she is now pain free and at peace. Love to you and your family. I am deeply sorry for your loss of Nan. May you find comfort in the promise recorded for us at Isaiah 25:8 where it says “ He will swallow up death forever, and the Sovereign Lord Jehovah will wipe away the tears from all faces.” As you await the fulfillment of this promise, draw close to God in prayer and he will provide the strength you need to get you through the difficult days ahead. All the best wishes for your family at this time, take care.